RHS has many clubs and activities for students to be part of and a new one is on its way. 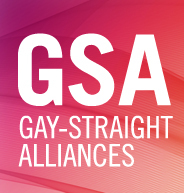 The GSA club or gay straight alliance club is a club RHS had before. Senior Lauren Zaremba is working on getting it started again with Ms. Samantha Hoyo, a science teacher. Ms. Hoyo explained that GSA started in the 80’s as a way for students to get together and be safe. She said Rockland is a really unique place in the fact that it is very accepting. She explained that GSA started as a safe place where people could come together and be themselves in an era when to be sexually nonconforming might get you beat up or killed or something of that nature. She continued saying “most people, generally, have formed opinions without actually being educated about the topic.” Zaremba feels many people aren’t open to have their opinion challenged and having a club gives them a platform to do so. Having this club will give students a place to go and be “supported regardless of any other thing that they have going on,” said Ms. Hoyo.